Normally when I visit San Francisco, I have a really hard time packing: the weather is all over the place and it’s difficult to pack for warm and cold weather, particularly when you’re not checking a bag. But I didn’t have this problem on my last visit because I’d recently purchased my new favorite accessory, a Hamilton & Co. scarf. Terrah Hamilton is the designer and creator of Hamilton & Co. scarves. I met her through my job and she’s super sweet–and has a very stylish eye. During a visit to the corporate office, I noticed all the girls were rocking these super cute scarves… and then I realized that one of the girls wearing them was making them! A few months later, I ordered my first one. This accessory was the perfect finishing touch to almost every outfit I wore while in San Francisco. Almost everyone I saw complimented it. I can’t wait to get a second one in some funky color or material. Terrah is always adding new materials and hues; in fact, she introduced some tie-dye earlier this year. Here’s a link to her blog that features photos and some of her inspirations. Terrah sells her creations in several boutiques in Memphis and on her Etsy.com shop online. Hamilton & Co. is also on Facebook. 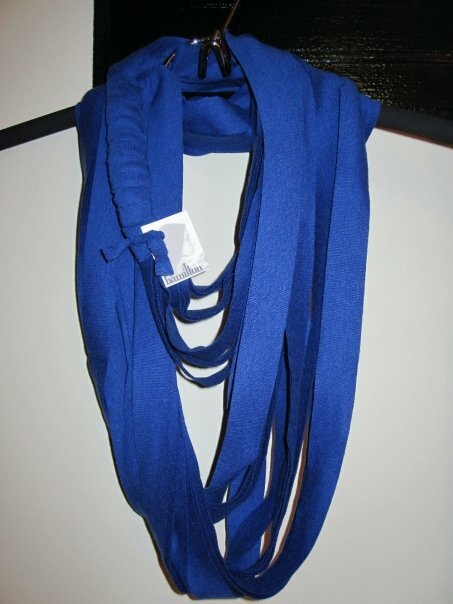 The scarves range between $40-$60. 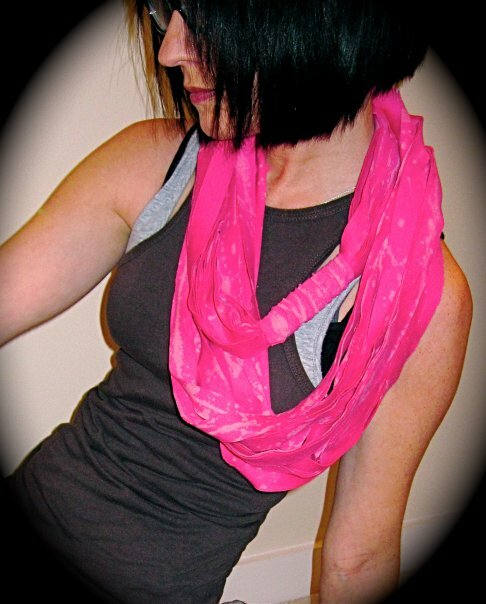 So, yeah, the scarves rock….Tie-dye? Fab. Gauzette?…Kinda gorgeous. The black one you rocked?…Superb. I am now equally devoted. The fact that I could take it out of the packaging and immediately put it on with my current outfit is just one sign of how versatile these are. Thank you so much for the amazing bday gift!! Yes! Glee Is Back Tomorrow! !